Pink Cap sleeved skirted leotard, pink tights and pink leather full sole ballet shoes. Full lace up tap shoes are required from Grade 2 upwards. – ISTD Aqua blue skirted leotard, pink ballet socks and pink leather full sole ballet shoes. *Hair must be tied back in a low bun secured with bun pins and bun so it doesn’t fall out in class. 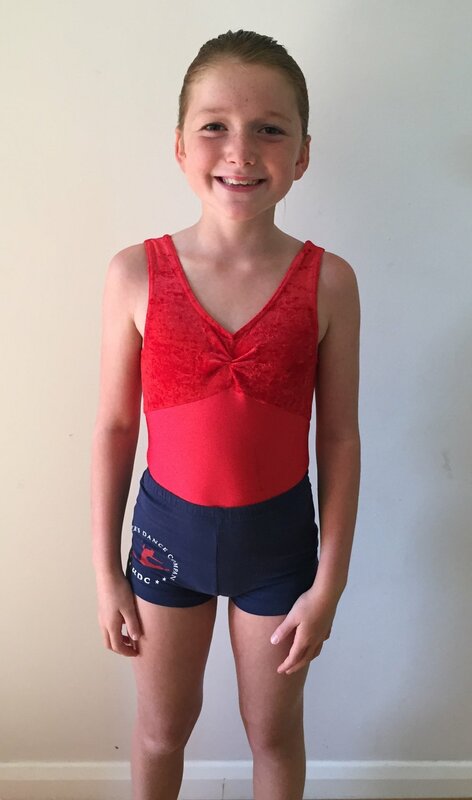 HDC Crop Top and Shorts or another other dance set/ dance leotard of your choice. No leggings to be worn in class, shorts or bare legs please. Tan/skin coloured split sole slip on jazz shoes. We have a range of promotional clothing for pupils to wear around the school, for shows and to competitions. To purchase any of the garments, take a look at the pricelist below and send enquiry form to Miss Heather. Thank you, I will get back to you as soon as I can.